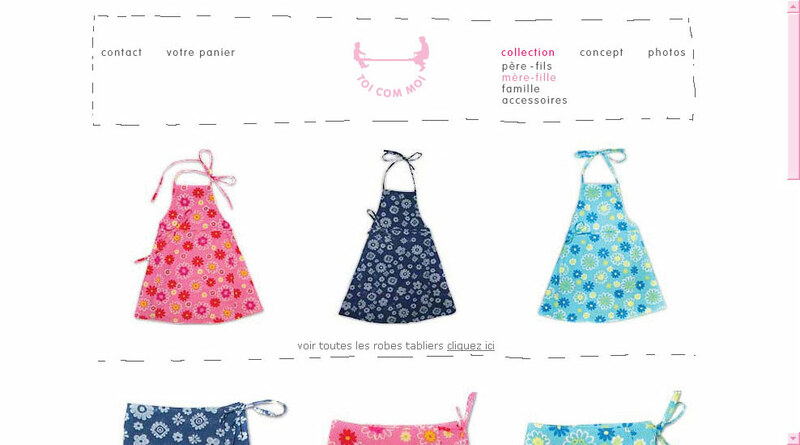 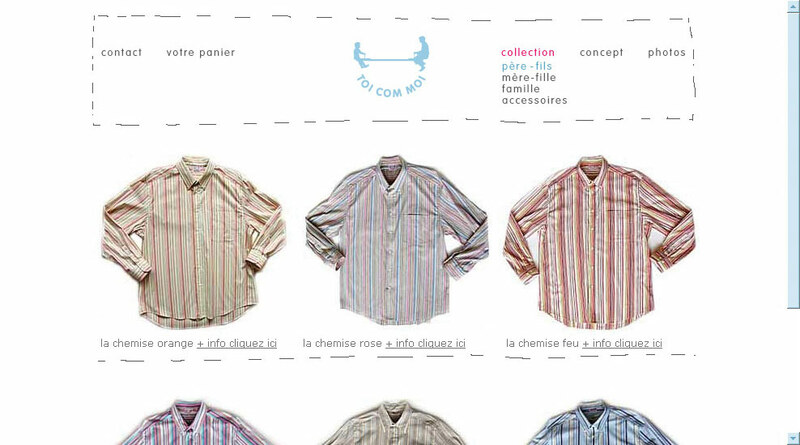 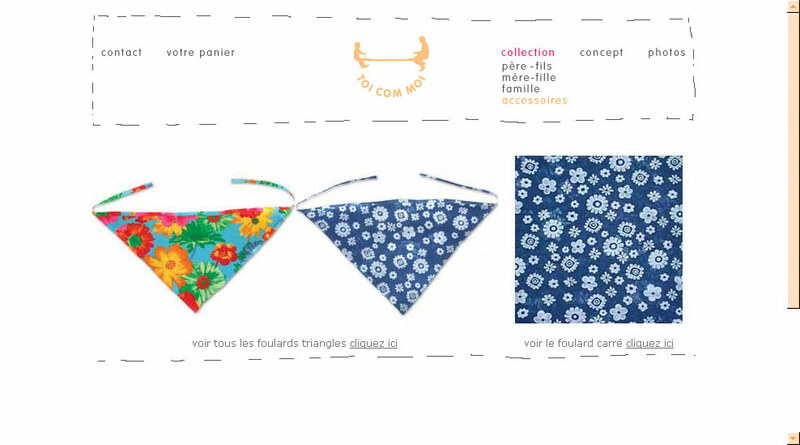 FL@33 was approached by Paris-based Toi Com Moi – then a start-up fashion label offering collections specialised on parents and children clothing. 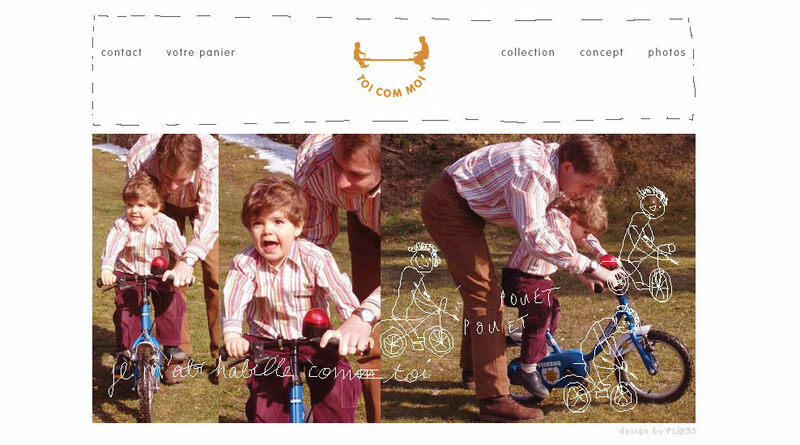 Fathers and sons, mums and daughters could find identical items – giving the 'mini-me' concept a fresh new look. 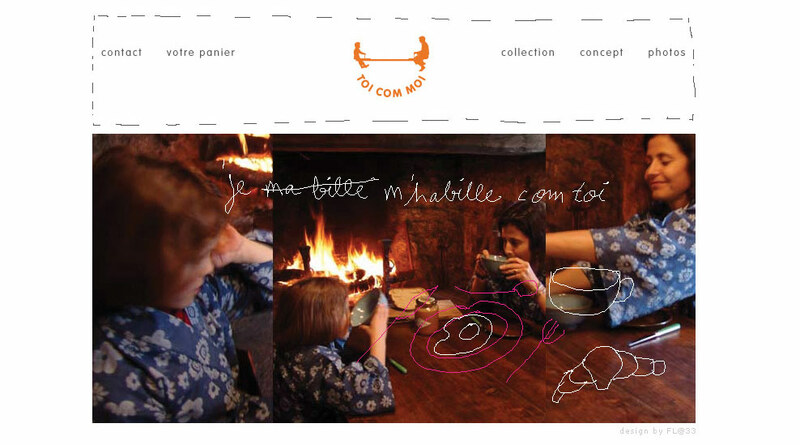 Toi Com Moi can be roughly translated into You Like Me. 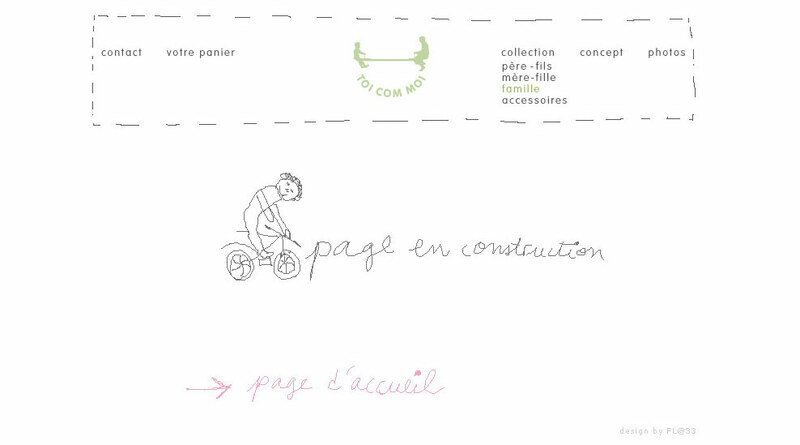 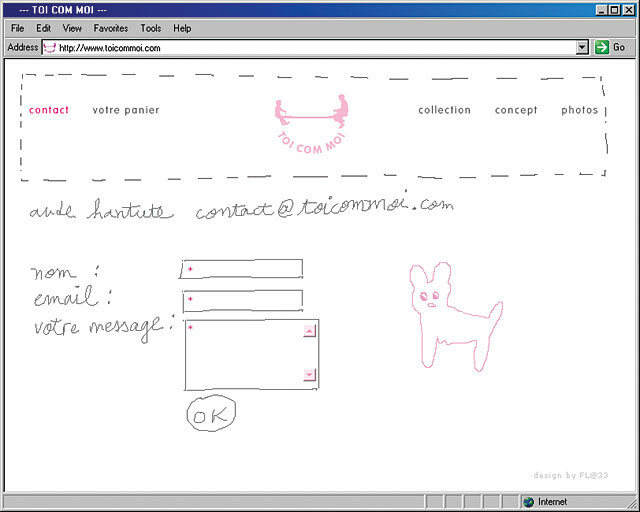 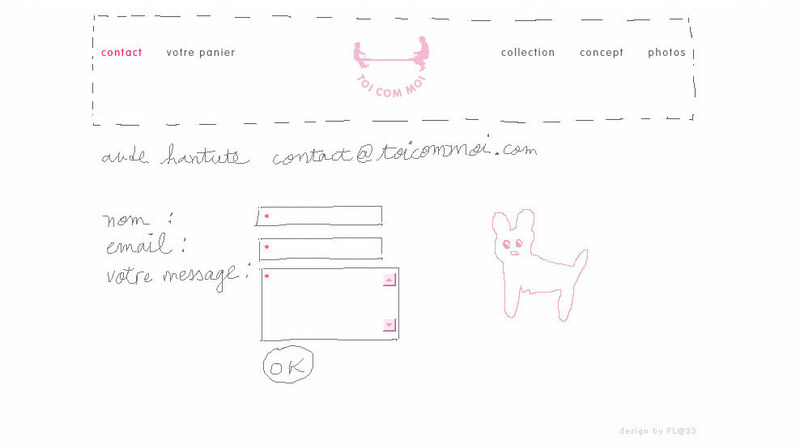 ___ FL@33 was commissioned to develop Toi Com Moi's logo and playful, versatile visual identity and apply it to stationery, embroidered labels and their online shop – shown here. 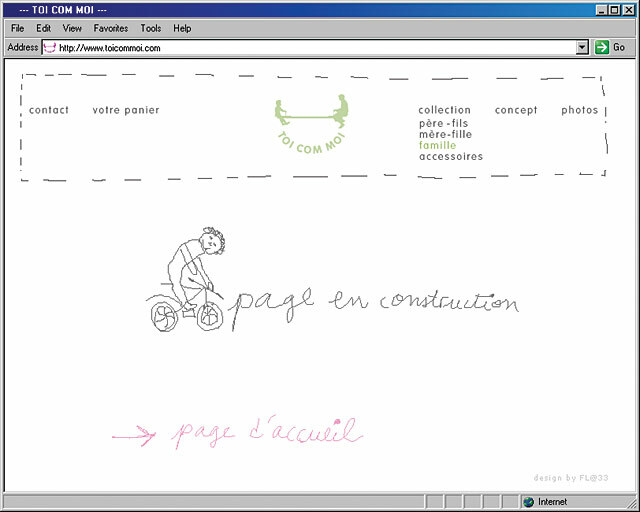 The site incorporated everyday snapshots and animations of children doodles to create an accessible and playful atmosphere. 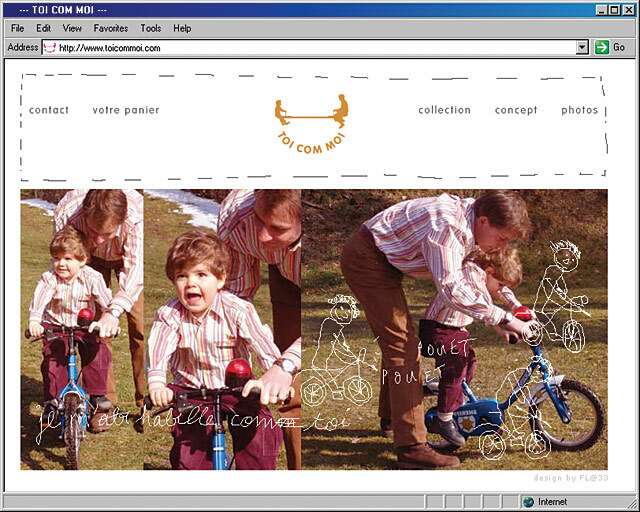 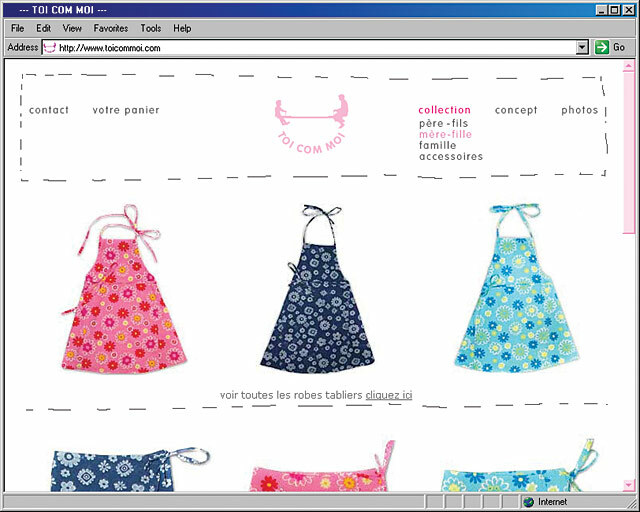 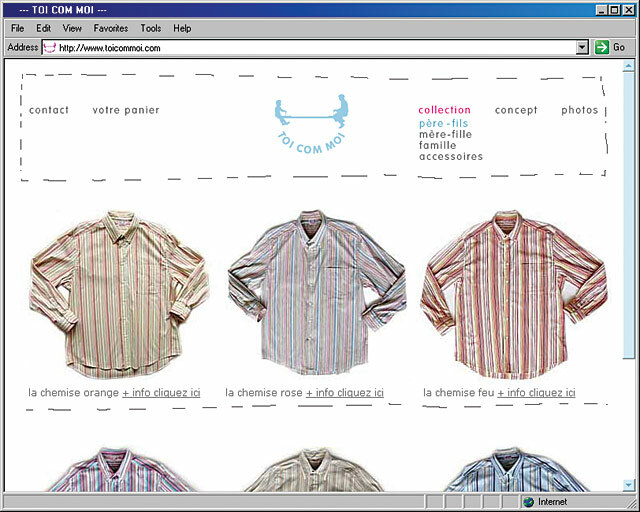 ___ The French online shop was launched in May 2004 and was live until December 2006 when the site was transformed into a pure presentation site for new collections.